Whilst many women live with hair loss, the general consensus is that us men have it way worse. There are around 10 million men in the United Kingdom, living with genetic hair loss. The plight of hair loss in men is that of biblical proportions – much like the tale of David and Goliath. Just imagine for a second that you’re David, coming up against this towering beast Goliath – that is your hair loss problem. How might you overcome such a challenge? The best way to tackle any colossal feat, is to first understand it. You best bet of overcoming genetic hair loss is to make sure you are in the know. This guide will look at why us blokes suffer from genetic hair loss. It will also take a gander at the treatment types on the market, and how you might use them to tackle genetic hair loss. Male pattern hair loss affects a large proportion of the population. The statistics are quite staggering. Three in every ten men will experience hair loss between the ages of 30 and 40 years old. This may not sound like much, but hold onto your toupee because it’s about to get hairy. By the time most men reach fifty years old, five in every ten will be living with the effects of genetic hair loss. It doesn’t stop there either. By the time we reach sixty years old, it is likely that seven out of every ten of us will be living with male pattern baldness. Why Do We Go Bald? There are different types of hair loss, but male pattern baldness is by far the most common. Generally speaking, male pattern hair loss is hereditary. It is a genetic condition that occurs in men who are hypersensitive to the hormone known as dihydrotestosterone (DHT). When someone is hypersensitive to DHT, they will see decreased blood flow to the hair follicles on the scalp. This happens in a pattern, beginning with the top of the head – hence the term “pattern baldness”. Reduced blood flow to hair follicles results in said follicles becoming narrower – producing thinner and weaker strands of hair. Essential nutrients required for the growth of healthy strands of hair are not transported in the right quantities, and so hair growth is slower – often grinding to a halt. With hair loss being such an emotive topic for many of us gents, it’s perhaps not surprising that there are several products available, which target people with hair loss. Let’s cover the most famous and popular methods, to give you an overview of the potential options. Finasteride is the active ingredient in many medicinal forms of hair loss treatment tablets. Prescribed by doctors, this form of hair loss ‘cure’ is a long-term method of preventing further hair loss. It is worth noting that it does not actually ‘reverse’ or ‘cure’ hair loss. The finasteride medication has reportedly had the side-effect of infertility in some cases – especially where it is used over the course of years. Finasteride is not appropriate for use by females, due to the way it manipulates hormones in the human body. Minoxidil is a safe alternative to Finasteride products for both men and women. It works by increasing the flow of blood to the scalp area of the head. It comes in the form of a cream or foam, and can be applied directly to the affected area. 90% of people who use minoxidil have reported an increase in hair growth. On first glance this statistic looks promising, but it is worth noting that users also reported that the hair was thin, wispy and weak – taking many months to grow. One of the most popular methods of hair loss treatment from recent years has been the creation of the hair fibre. Gofybr hair loss fibres are packed with a naturally occurring cotton, making them an environmentally gratifying alternative to chemical hair loss treatments. Gofybr hair loss fibres work by the power of electrical charge – the natural cotton is negatively charged, whilst the strands of hair are positively charged. When the two interact, they bind together via static electricity. This means that Gofybr hair fibres can stick to your existing hairs – creating the illusion of a thicker, full head of hair. Please note that if you are pretty much bald all over, Gofybr hair loss fibres will not work for you sadly. Ok so it’s not really called astro-hair, but fake hair like wigs and hair transplants come under this category. These options can be extremely expensive, especially as transplants are a surgical procedure that is not available on the National Health Service. Wigs can be cheap, but let’s be honest – even the decent quality ones look horrendous. This is perhaps the hardest change to make, especially as we all have our little treats that we like to indulge in. Believe it or not, certain foods and methods of grooming can have a negative impact on the health of your hair – potentially resulting in earlier hair loss. Make sure that you include plenty of vitamins A and beta carotene, as these are used extensively in hair growth and maintenance. 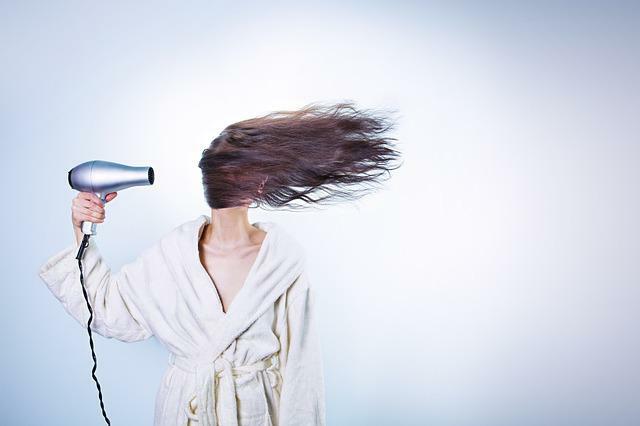 It is also worth pointing out that using a blow dryer on your hair can dry out and damage hair strands – so avoid that if you can. When talking about hair loss, you really need to use the word ‘cure’ with a pinch of salt. You’ll probably have noticed it always appears in inverted commas throughout the article – that’s the punctual pinch of salt. The truth of the matter is that there is no cure for hair loss, as it is considered hereditary under normal circumstances. Finasteride and minoxidil products are considered by many to slow down the hair loss process, however once you stop using them, the hair loss continues at its normal rate. Whatever the state of the locks on your head, don’t fret – there are a whole range of options out there which can help treat thinning hair. Armed with the knowledge provided above, you can go out there with confidence that there is a hair loss solution just right for you.